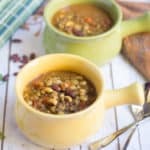 I wanted to start this slow cooker series in June itself. But lots of things were going on and I thought I will post these leisurely after my India trip. So finally here I am with my Slow Cooker Recipes. It eliminates the time standing before the stove as we don’t need to keep an eye on the dish. Especially when you have toddlers around, this is a life saver. Throw everything in and set it on and that’s it. Finally to the tadka or seasoning. 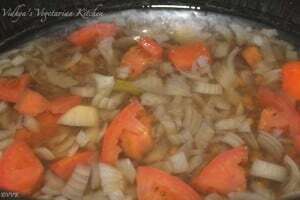 I prep and set the dish in the slow cooker before going to work and when I am back home the food is also ready. All I need to do is add the tadka and either prepare rice or roti. 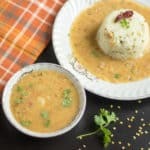 According to Indian slow cooker recipes by Echo bay books, Dum Pukht is a cooking technique two centuries old which could be the predecessor of all crock-pots in the world. And here is the amazon link. 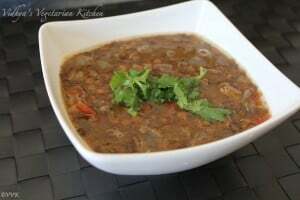 Now coming to today’s recipe, it’s the simple dhal tadka. Its one among the comfort food. I love to use different varieties of dhal. Be it masoor or toor or moong. This time I thought I will use brown masoor dhal. 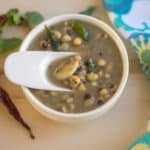 It’s a light but flavorful dhal. 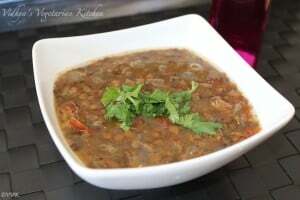 Also I am using the Goda masala which is the popular masala used for dhal in Maharashtra. I got this powder from my friend and we love it. I use it for all my dhals. You can get the store-bought powder too. 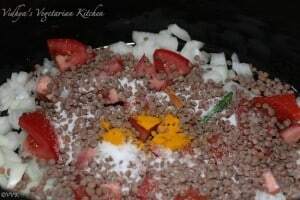 Here is the slow cooker dhal recipe. 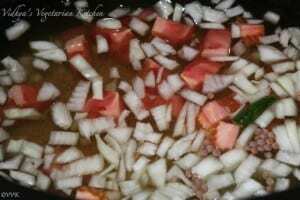 Chop the onions and tomatoes and slit the green chilly into two. 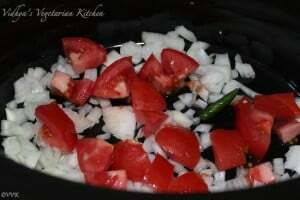 Now add the dhal, onion, tomato, green chilly, salt, hing, turmeric and the goda masala in the crock pot. After 6 hours, I remove the excess water for my stock and mash the dhal. Now in a separate pan or kadai, heat the ghee or oil. Once its hot add the mustard seeds and jeera. As they start to splutter add them to the dhal. Garnish with chopped cilantro. That’s it. Yummy dhal is ready. Disclaimer: As like with any other kitchen gadgets slow cooker also has some cautious warnings. Please read those carefully before using the same. 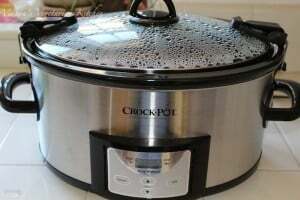 I thought this is cooker recipe.. but slow cooker I am hearing for the first time :) Dont think its available in India yet! Thanks. I think kenwood has couple of slow cooker models in India I believe. But its not as popular as in US. Yaar its the age old kummuti adupu concept now with electric thingy.. ;-) ;-) Getting back to the roots. Oh yeah.. I am loving it so far.. I too love slow cooker… but bit lazy to set it up, lol! 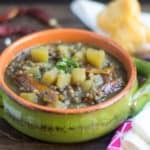 I did try sambar and soups in my slow cooker, your version of Massor looks tempting! I tried sambhar too. Yet to post. 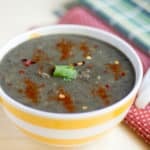 Slow cookers are perfect for soups.. Thanks Mullai. 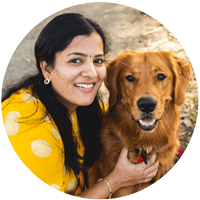 Never heard of this slow cooker Vidhya, interesting hearing about this !